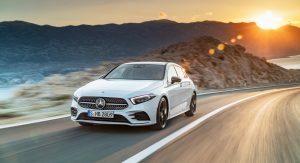 The new generation Mercedes-Benz A-Class will eventually go down the electrification road with not one, but two plug-in hybrid powertrains. 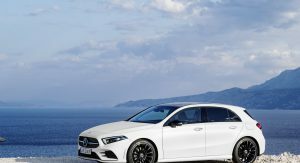 Claiming to have laid their hands on internal documents, Autocar reports that the two PHEVS will be named the A220e 4Matic and the A250e 4Matic. Both will use of a 1.3-liter petrol engine, probably the one developed by Daimler and Renault, and an electric motor. 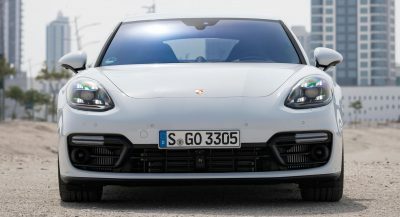 The internal combustion unit will allegedly power the front wheels, whereas the electric motor will channel its output to the rear axle. 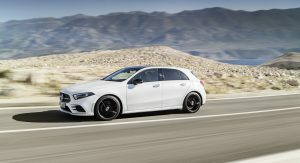 The only technical difference between the A220e and A250e will be in terms of power, as the internal combustion engine will churn out 136hp and 163hp respectively, with the electric motor said to produce 90hp in both models. 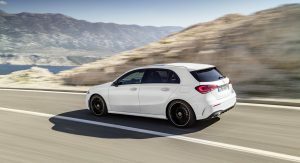 It’s unknown when the A-Class PHEVs will debut, but the British mag suggests that it could be displayed as early as October, at the 2018 Paris Auto Show. The plug-in hybrid powertrain won’t be limited to the hatchback, as it could power other compact models, such as the upcoming B-Class MPV and GLB boxy-looking SUV, that are based on the same platform. 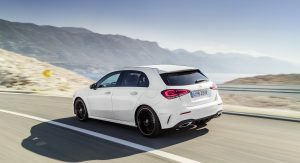 On the other hand, a zero-emissions version of the fourth-gen A-Class is reportedly out of the question. That’s because Mercedes will focus on the development of the new electrified EQ sub-brand. This will include the EQ A battery-powered compact hatchback, the EQ C electric SUV and other, as yet unknown, models. How so? Do you think they should do an all electric A Class as well as the EQA. Or maybe not even have the EQA brand? I’m not really into electric cars like you are but there’s an irony in that the design of the original A Class that was designed with electric batteries in mind. 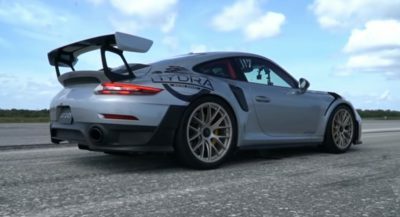 Next PostNext Would You Pay $90k To Put Your Head In Ayrton Senna’s Helmet?